Welcome to 2753 & 2755 South Acoma Street! 4 beds / 4 baths. Open concept floorplan. High end finishes throughout. Main floor with home office, large kitchen with 10+ foot long waterfall quartz eat-in island, soft close maple cabinets, a pantry, luxury appliances including gas range & hood vent, undercabinet lighting & more. Huge accordion style sliding wall to wall win-door fully opens and expands living room to outside patio! Gas fireplace w/custom mantel. Floating custom wood vanity. Custom monorail stairway with stained stair treads and custom horizontal railings. 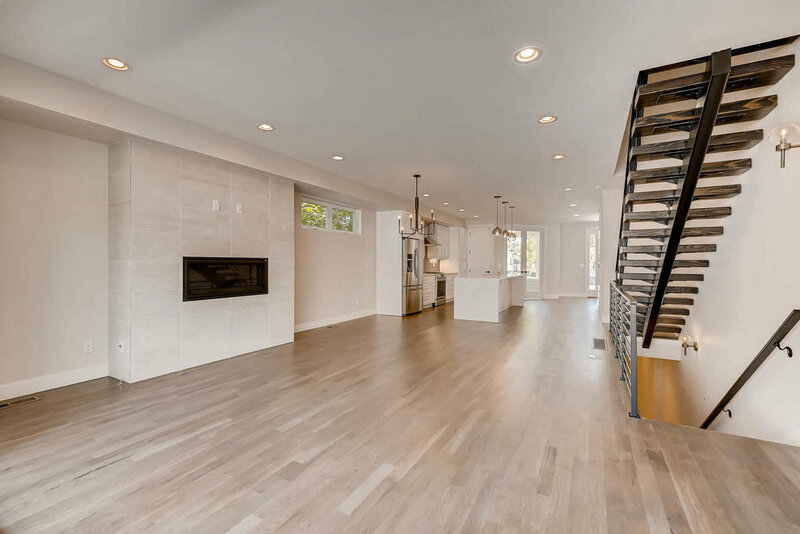 Gray-wash solid oak hardwood flooring throughout main level. High efficiency furnace & water heater. Huge master bedroom with TALL vaulted ceilings, recessed lighting, ceiling fan, sconce lighting, Juliet balcony, & large walk-in closet. 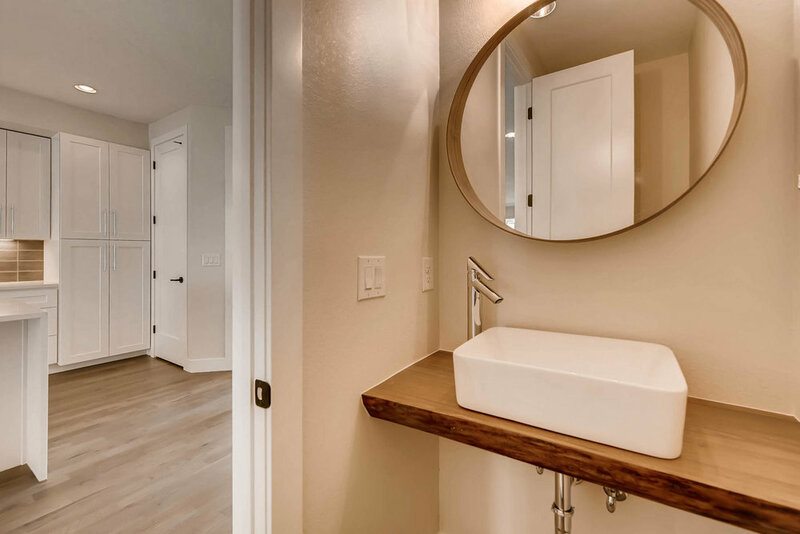 5 piece bath features a double vanity with quartz countertop, huge walk-in shower with double shower heads, freestanding soaker tub, frameless Euro shower glass door & more. 3rd floor rooftop composite deck with awesome mountain views, an indoor/outdoor wet bar with sink, wine fridge location, & a TV watching/lounge area! 2 car garage with wifi/smart opener (control your garage door from your smart phone!). Pre-wired for home audio & cat 5 in various rooms! Large finished basement with 9 foot tall ceilings, a huge rec room, tons of storage & more!